This London Fashion Week marked 4 years of my doing my own thing! Which spurred me to look back and think what a crazy ride it’s been and all the amazing people I have met and opportunities I have had and what a whirlwind! There are a few people who without I would not be here and seeing as it was just Galentines day I thought I would give a shout out to 5 amazing gals that have been such a support!! 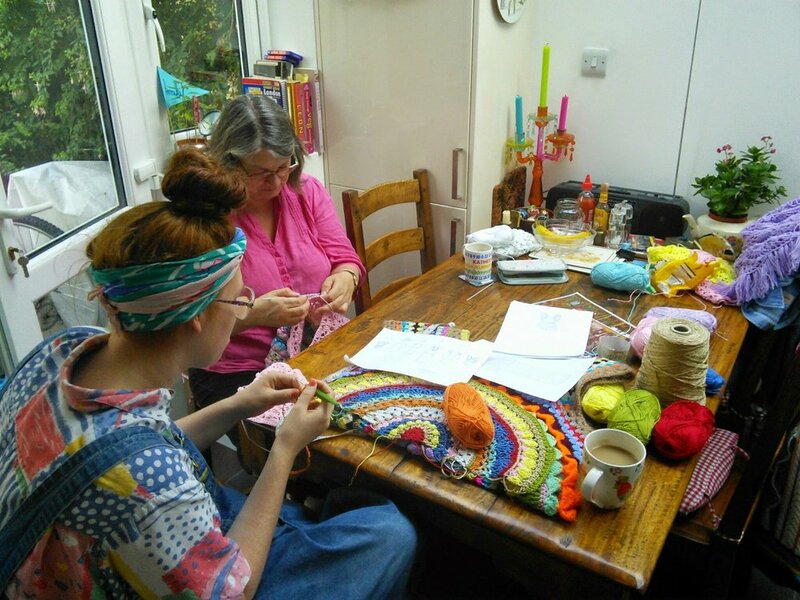 My one and only babe of a Mum has been a very brilliant assistant from the beginning- it’s been so nice to share this journey and passion with her- seeing as she taught me how to crochet in the first place! She now works with me on most areas of the business and runs the Great Make Escape retreat with me! Shes my very own mumager!! She taught me my love of colour and how to crochet and she’s working on teaching me how to do my books properly! 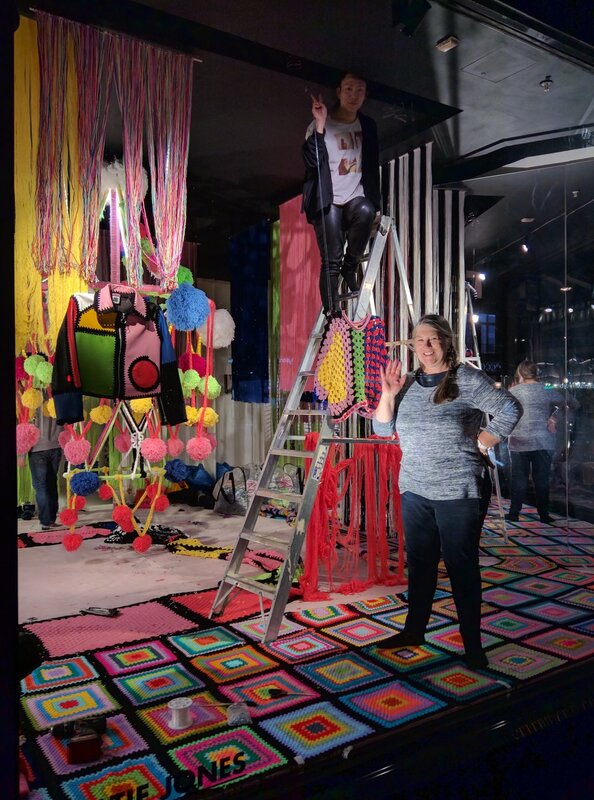 She joined in the many sleepless nights before a deadline and has enjoyed all-nighters doing window displays in Selfridges! And truly without her I wouldn’t be here, as I wouldn’t exist! Cheers MUM! Sara started as my very first intern and soon became my right hand woman and bestie mate! Now the brand has changed from doing wholesale I don’t work with her so regularly and she’s off working on fab exciting projects. I super miss getting to sit next to her chatting and crocheting everyday but still manage to drag her along to the occasional event!! 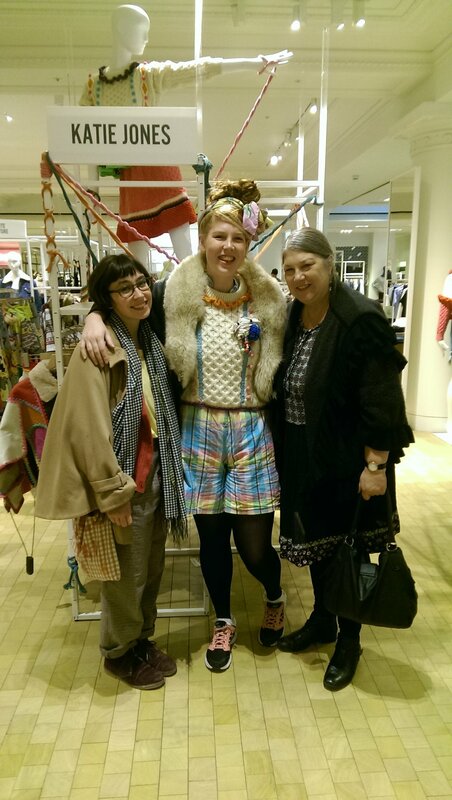 Sara was there from our AW15 collection- SS17 so was a key figure in the year of craziness! She worked on designs, managed the studio when we upscaled from my house and was production manager! She made the studio full of fun and super organized and I think if she hadn’t of come along I would have gone mad by myself! I think the stresses and anxiety of trying to run your own brand can be overwhelming so its so important to find yourself a brilliant second who can be the Yin to your Yang ! 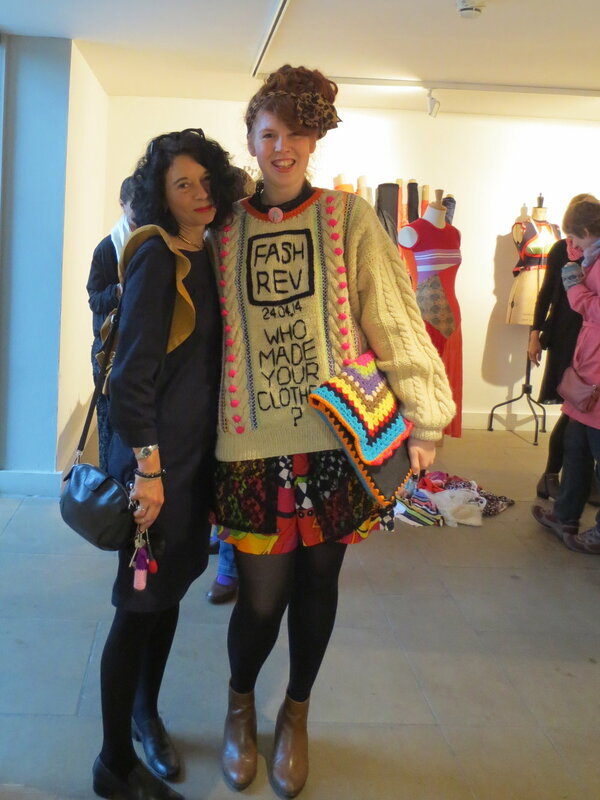 Clare is my Wooly Wonder Woman and family owns a Knit Factory in Leicester! I found Clare by accident and without her I wouldn’t have been able to upscale my production. Thanks to her it meant we could produce larger numbers and work with amazing stores such as Selfridges! Their factory produces aran sweaters using British Wool and we have been able to use there waste on so many fun projects, such as our knitted cow for Kids Hackney, Bouf.com Window display and our charity Giant socks for HUBBUB! 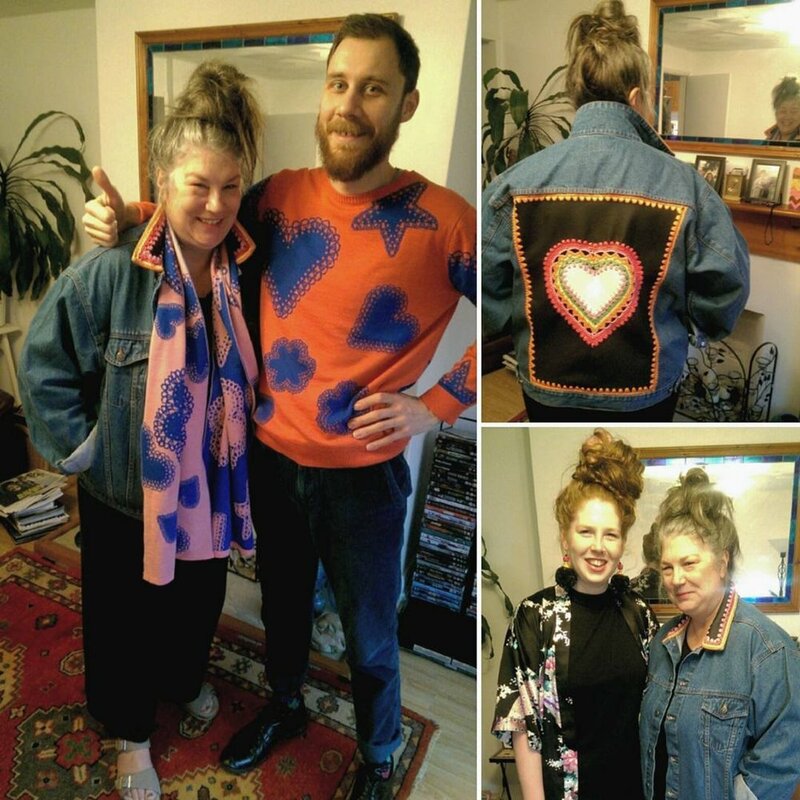 Orsola de Castro is my fashion fairy godmother, who started this mad journey all off and turned me into a eco worrier! Orsola is one of the co founders of Fashion Revolution and previously ran Estethica. She took a chance on my work from an intro email and suddenly I was showing at Fashion Week. Ever since she has been my guru in life- inspiring me and championing my work at every stage and I will be forever grateful to her! Susie Lau fashion blogger super star who came round for a cuppa and a chat when I first started- wrote a small piece and next thing I know I have 2 stockists! 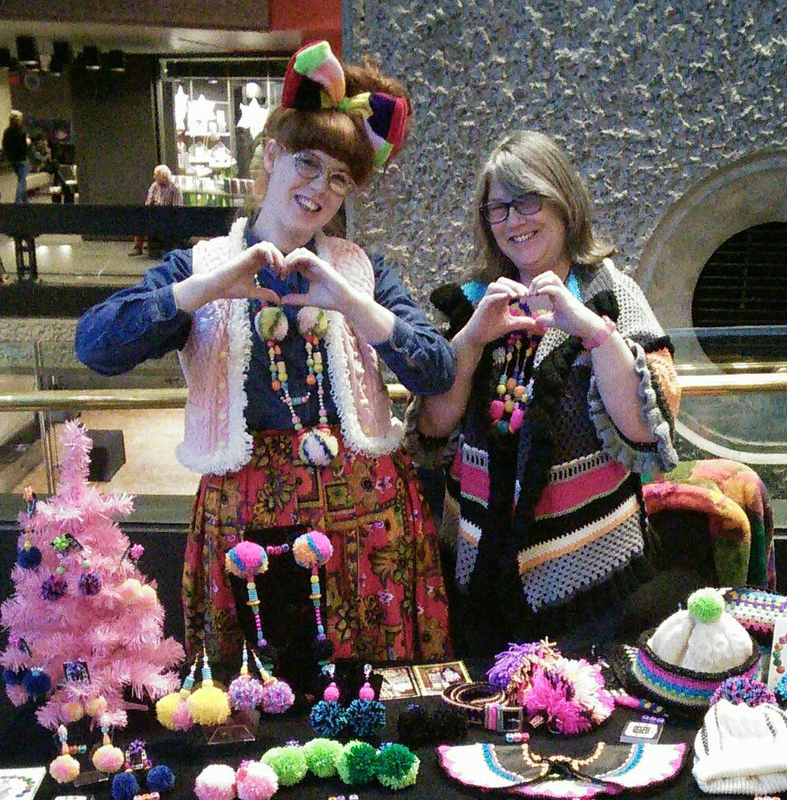 Her support has bought my more craft led sustainable work into the fashion lime light! In a time where everyone claims to be an “influencer” her unique view is so strong and she is really 1 in a million! 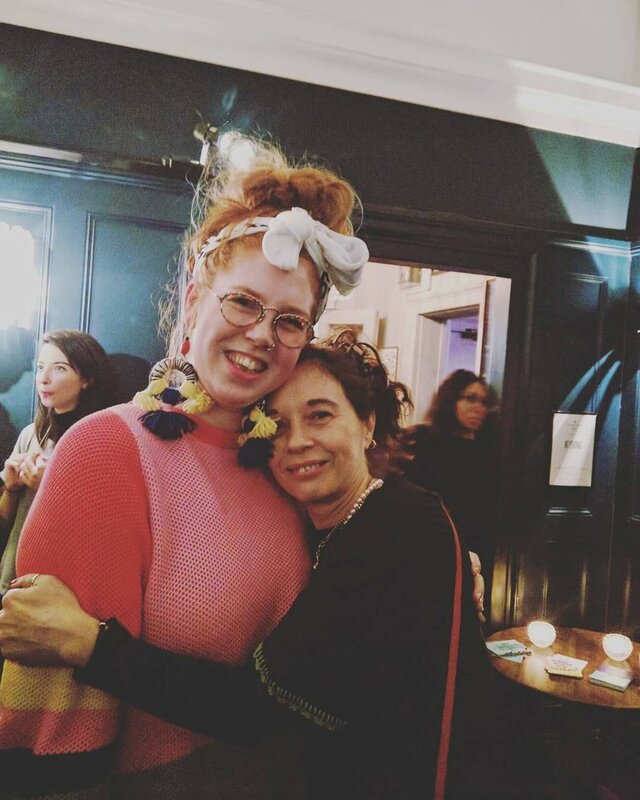 A true fashion lover and critic, her blog Stylebubble.co.uk was always my go to place to find new exciting designers and read insightful pieces on fashion!